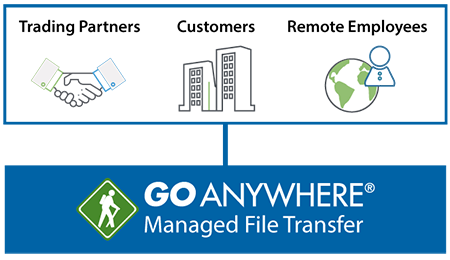 GoAnywhere MFT provides file services to allow customers, trading partners and employees to connect to your system and exchange files in a secure environment. This is an on-premises solution with extensive management controls and audit log reporting. An HTTPS server can also be enabled to allow users to perform ad hoc file transfers through an intuitive browser-based interface. Through the GoAnywhere security controls, you can choose which services are enabled and which users have access to those services.